Help, My Throat is Sore! Is it Strep, Tonsillitis or Just a Cold? You wake up in the morning with that awful feeling in your throat - that hot and dry feeling where you are afraid to swallow because you know the pain that is to come. Most people don’t know at this point if they have a cold, strep throat or tonsillitis. Don’t be fooled into thinking they are the same - although the pain may feel the same, the causes and treatments are very different. Cold: A sore throat from a cold usually comes along with other symptoms like a runny nose, cough or nasal congestion. The soreness you feel in your throat can be caused by dryness from mouth-breathing. When your nose is stuffy, you tend to breathe from your mouth, especially while you are sleeping, so your throat can become scratchy and irritated. The good news is that the pain usually goes away in a day or two, but the bad news is that colds are viruses and need to run their course, so your doctor usually won’t prescribe you anything. Strep: A sore throat from strep is caused by a bacterial infection. Strep is more common in children and teens, but certainly adults can be infected. If your pain is intense, you have a fever or you see white spots in the throat area, it is a good idea to head to a walk-in clinic near you for a rapid strep test. The doctor will take a swab to the back of your throat and send it off to the lab for diagnosis. If you have strep, your doctor may prescribe antibiotics and you should feel better in about 10 days. Tonsillitis: A sore throat from tonsillitis can be caused by a bacterial or viral infection, so treating this can be a bit more challenging. The tonsils help to fight infection; however they, too, can become infected. When this happens, the tonsils become enlarged, painful and usually develop white or yellow spots. Swallowing hurts and you may also have a fever, bad breath, runny nose and/or nasal congestion. Your doctor will need to determine whether or not to prescribe antibiotics, as they will only work if you have a bacterial infection. In the meantime, go to an urgent care center or walk-in clinic for a proper diagnosis and treatment. If you experience recurrent tonsillitis, don’t be surprised if your doctor recommends having the tonsils removed. Although having surgery is not fun, it is the only way to prevent this from happening again. Can Sore Throats Be Prevented? The doctors at our Urgent Care centers in Orlando recommend that frequent hand washing be the first line of defense in preventing sore throats and other illness. Always wash your hands before eating, after using the restroom and after coming into contact with contaminated surfaces such as shopping carts, public phones, countertops, etc. Also, keep your children’s hands clean. Children touch everything, so insist that they wash their hands frequently and make sure they use soap and warm water. If you are on-the-go, use an alcohol-based hand sanitizer in between washing. If you’re in the Orlando area, come visit GuideWell Emergency Doctors, an urgent care facility that offers a high-quality, cost-effective care alternative to meet your unscheduled medical needs. We have three locations serving Winter Park, Ocoee and Semoran. No need to make an appointment – just walk on in! Dr. Dodaro is board certified with the American Board of Emergency Medicine and is a fellow of the American College of Emergency Physicians. He is a graduate of Tulane University Medical School in New Orleans, Louisiana. His residency training included an internship at Georgetown University in Internal Medicine followed by Emergency Medicine at the University of Florida HSC Jacksonville, Florida. Dr. Dodaro still enjoys seeing patients in all Crucial Care facilities and serves in a variety of leadership and management roles throughout the organization. He has held privileges in a variety of settings, such as private hospitals, free standing Emergency Departments, and Academic Medical Centers. He is actively involved in the growth and development of the Crucial Care Management Services based in Jacksonville. 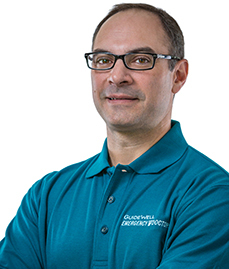 Dr. Dodaro enjoys spending time with his wife and three children.